Excellent ! I'll have a test at it asap. Did you by chance add a tag to the repository that captures this change? Brad - I created an issue in JIRA and its source tab will let you see all the commits related to this change. Great news! 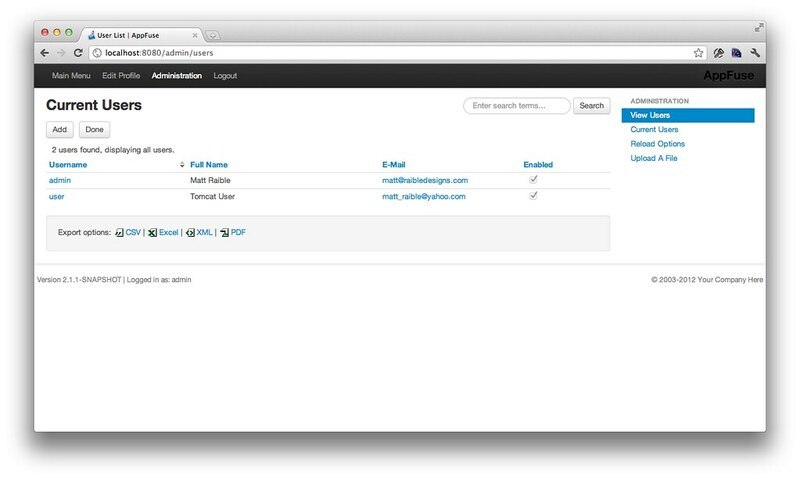 A modern CSS framework is a key component on today webapps! 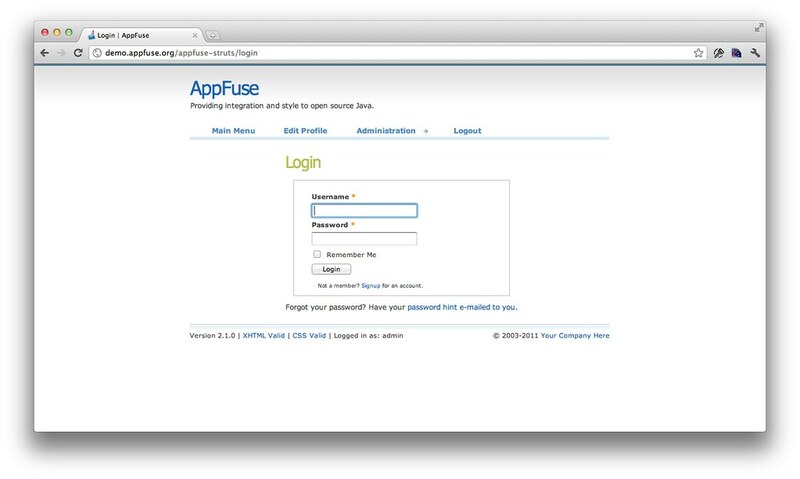 I love AppFuse i must say. I am wondering if you are planning on making a non-light AppFuse version with the wicket framework? 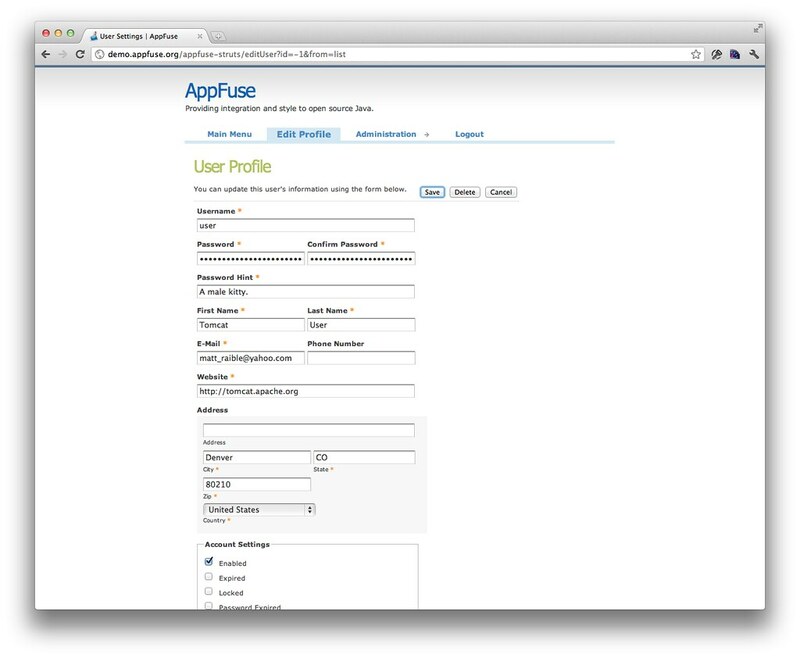 It is actually a great framework, and i would love to see an more sophisticated integration with AppFuse. Also are you planning any new releases, the last release was on 4. april 2011. Thanks for your kind words Cemil! 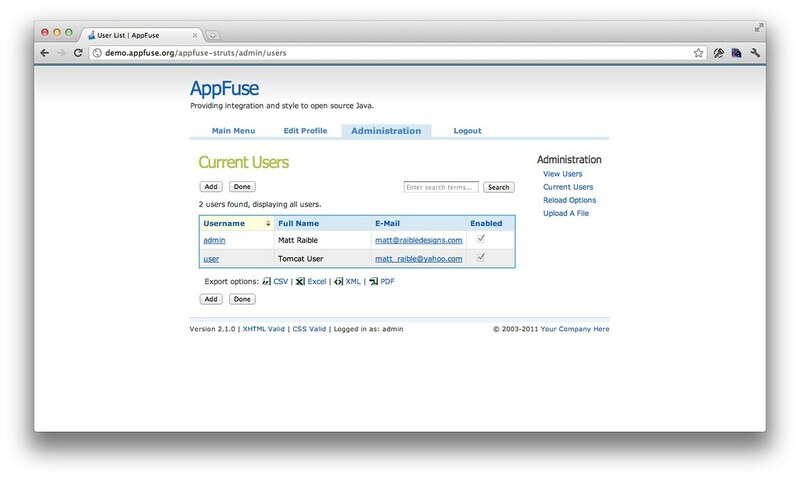 Marcin Zajączkowski has been doing some work to create a Wicket front-end for AppFuse. You can read about it on the developers mailing list. As far as the next release, I'd love to release 3.0 this spring. However, there's a lot of things I want to do in AppFuse.next, so not sure if that's realistic. 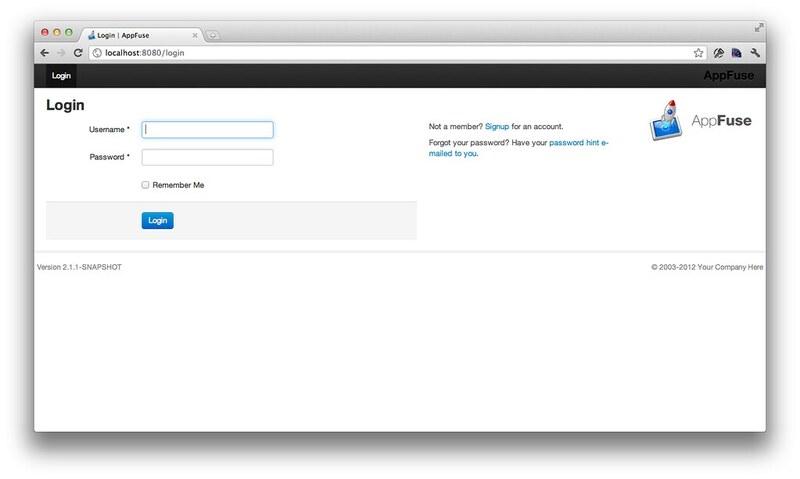 I wonder if there is a ZIP or a Live demo about this bootstrap integration. 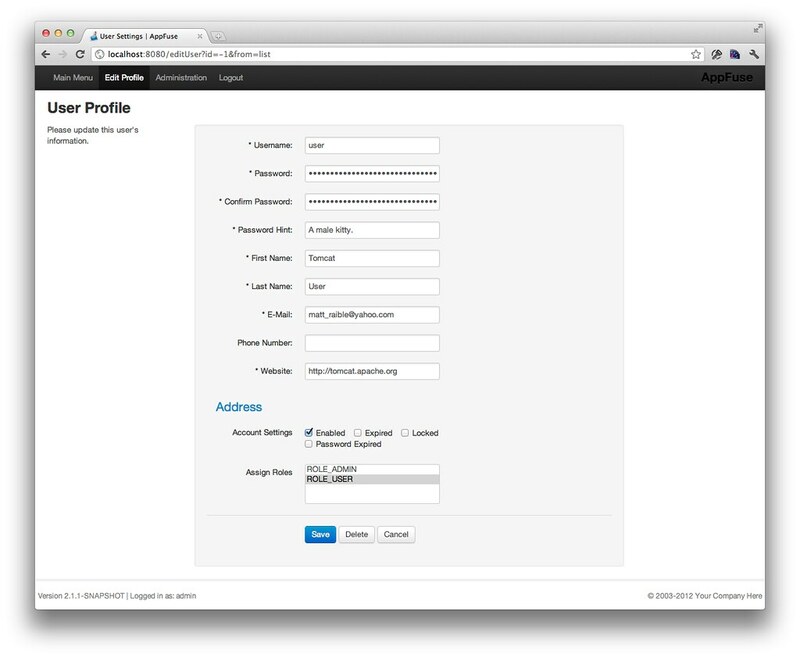 Carlos - you should be able to checkout the source or trying using an snapshot archetype for a local demo. You can also see the changelog for this issue in JIRA. Great update, looking forward to copying some of this into our applications.